Cairo- At today’s peace talks, in a stunning turnaround reversing 30 years of US policy, Secretary of State John Kerry sided with Hamas at the expense of longtime allies Egypt and Israel after Hamas informed Kerry that Egypt and Israel’s actions amounted to “swiftboating”. According to well placed sources, the Hamas delegate said “Mister Kerry, our treatment at the hands of Israel and Egypt is similar to your treatment by those jealous and spiteful former Naval Officers during the 2004 Presidential Campaign.”, as a captivated Kerry nodded sympathetically. Egypt’s delegate to the talks, speaking on the condition of anonymity, stated “I got to hand it to Hamas. We got played. Straight. Up. Played. 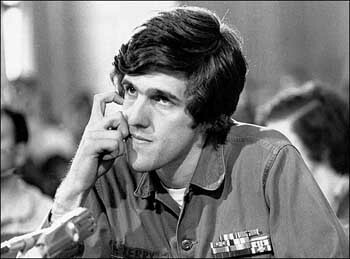 At one point, the Hamas delegate asked Kerry how he kept in such great shape and insisted that he looked far too young to be a Secretary of State. We just couldn’t keep up with their full court diplomatic press.” When asked to explain this debacle, a frustrated Israeli rep noted “I dunno, I guess I knew we were in trouble when Hamas told Kerry that the Palestinians invented windsfurfing”.